Last Night, the Phillie Phanatic made a guest appearance on NBC's 30 Rock. He never takes a break, even in the off season. 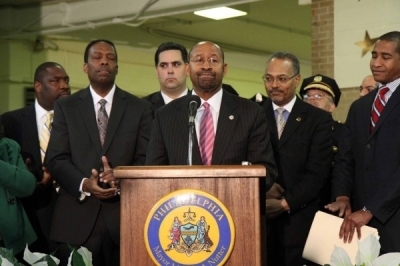 Mayor Nutter announced the City of Philadelphia's new crime-fighting strategy that will rely more on rewards and bounty to bring forward witnesses and information. The city will pay up to $20,000 for information leading to the arrest and conviction of someone for homicide. People can also get $500 for tips pointing to the location of illegal guns and weapons. 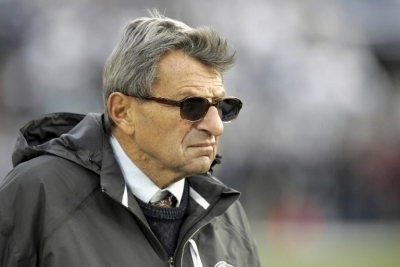 Funeral and memorial services have been announed for former Penn State football coach Joe Paterno, who died Sunday. Joe Paterno, 85, has passed away early Sunday. After spending most of Saturday listed in serious condition and surrounded by family and friends, Joe Paterno died early Sunday at the hospital in State College. His family released a statement Sunday morning to announce his death: "His loss leaves a void in our lives that will never be filled." Former Penn State Head Football Coach Joe Paterno is in serious condition according to his doctors and family. His health has taken a turn for the worse Saturday and family and friends have been summoned to the hospital. The first snowfall of any significance this whole winter is expected to affect the region late tonight and into Saturday morning and afternoon. 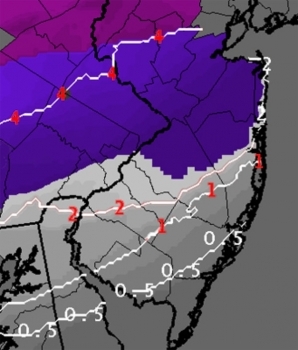 The entire snowfall for the month of January is at .2 inches. The last storm with any kind of accumulating wintry precipitation was way back on Halloween weekend. Jimmy Castor, Funk Legend, Band Leader, and Saxophonist passed away Tuesday in Henderson, NV, of heart failure at age 71. Castor was born in Manhattan in 1940 and grew up in Harlem and Washington Heights playing with rock n' roll singer Frankie Lymon. He branched out on his own and took his mastery of R&B, doo woo, Latin soul, and Funk with him. 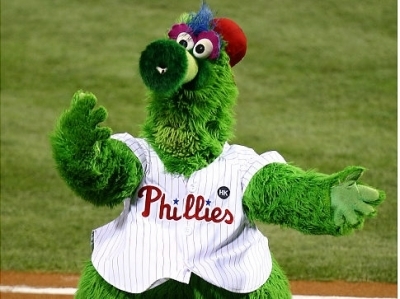 Left-hander Cole Hamels and infielder Wilson Valdez have both agreed to one-year contracts with the Phillies General Manager Ruben Amaro Jr. announced the deals today. Both players were eligible for salary arbitration but avoided those proceedings by signing these deals. D.G. Yuengling and Son, based in Pottsville, PA, has become the largest domestically owned brewery, passing Sam Adams maker Boston Beer. Last year, Yuengling's shipments rose 16.9% to 2.5 million barrels, where Boston Beer only rose 8% to 2.4 million barrels. 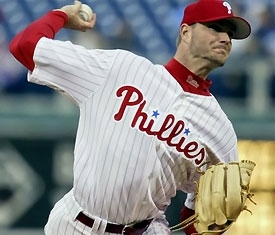 Ryan Madson will be wearing red next year but it will be for the Cincinnati Reds, not the Philadelphia Phillies. Madson reached an oral agreement for a 1-year contract worth $8.5 million to pitch as their closer next year. He will be replacing Fransico Cordero whose $12 million option was declined, in favor of a $1 million buy out.